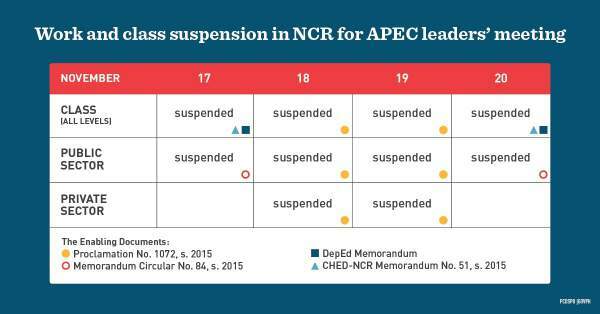 LOOK: Philippine government declares 4-day holiday in NCR for APEC meeting - Balita Boss! 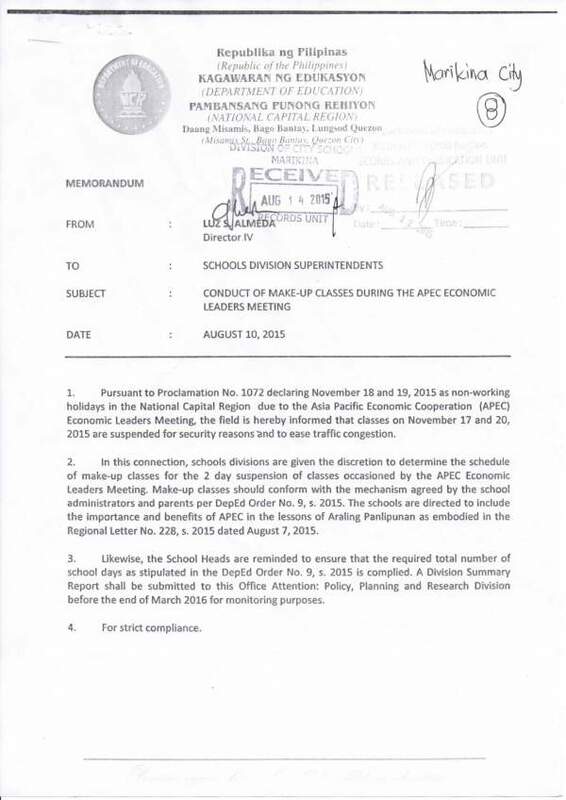 Due to APEC Economic Leaders’ Meeting (AELM) which will be held in Philippine International Convention Center in Pasay City, the Philippine government has declared school holidays and special (non-working) days in National Capital Region (NCR) from November 17 to 20. The AELM is considered the highlight of the APEC Philippines 2015, the year-long hosting of APEC meetings in the Philippines. For the public sector, work is suspended from November 17 to 20, while work in the private sector is suspended on November 18 and 19. The Department of Education and the Commission on Higher Education have both declared school holidays from November 17 to 20 for all levels.